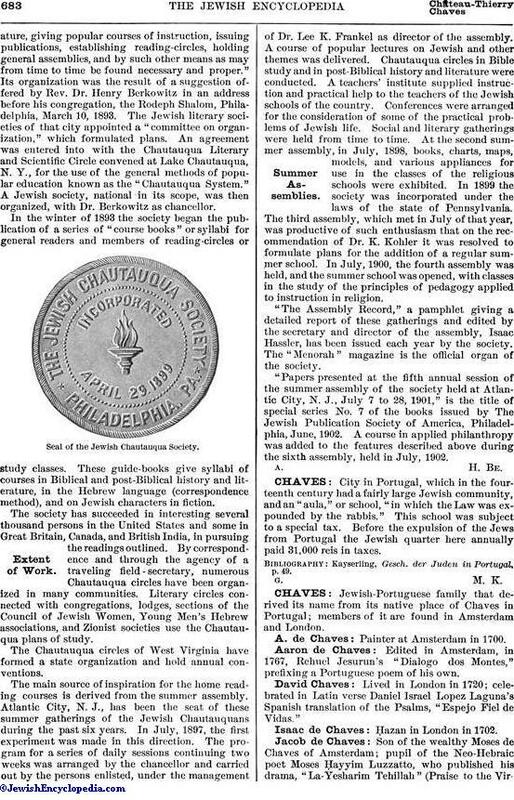 Jewish-Portuguese family that derived its name from its native place of Chaves in Portugal; members of it are found in Amsterdam and London. Painter at Amsterdam in 1700. Edited in Amsterdam, in 1767, Rehuel Jesurun's "Dialogo dos Montes," prefixing a Portuguese poem of his own. Lived in London in 1720; celebrated in Latin verse Daniel Israel Lopez Laguna's Spanish translation of the Psalms, "Espejo Fiel de Vidas." Ḥazan in London in 1702. 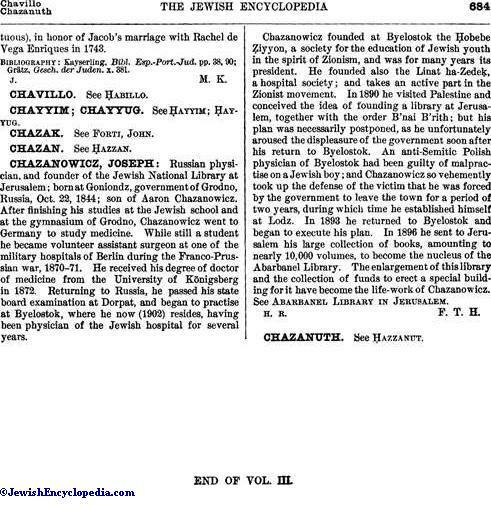 Son of the wealthy Moses de Chaves of Amsterdam; pupil of the Neo-Hebraic poet Moses Ḥayyim Luzzatto, who published his drama, "La-Yesharim Tehillah" (Praise to the Virtuous),in honor of Jacob's marriage with Rachel de Vega Enriques in 1743. Grätz, Gesch. der Juden. x. 381.